Time for another #UntamedStyle Challenge, this time around its Fall trends. Yup, summer is practically over and time to get into Fall state of mind. Well this outfit challenge was a bit challenging for me, since in California we really don't get Fall weather till about October. Its still 90 degrees and I am not even thinking about Fall!! Our Fall's are mild and not as cool as other parts of the country so my fall look is probably not what most would expect. Fall to me also means going back to school, although its been many years since I was in school. I loved doing back to school shopping when I was younger, even in college. Some thing about starting a new school year with new clothes and often times a new style was so exciting to me. Even now, working in education I still do my back to school shopping and get a couple new outfits. Fall fashion seems more exciting to me, you can wear boots, coats, sweaters and accessorize with hats, scarves and gloves. Layering your clothes and adding more elements than you would in spring and summer. I also feel Fall fashion looks more chic than in any other season. So what are the trends for Fall 2014; on the runway we saw lots of chunky knits, sixties mod, plaid, velvet, fur and tailoring. All these trends are not necessary new to fashion, but each year designers find new and creative ways to interpret these styles. That is what #UntamedStyle challenge is all about, taking these trends and making then our own and interpreting them with our own style. My Fall Trend choice is actually a combination of trends, plaid and bit of sixties mod influence and some 90's grunge thrown in for fun. Well I am not one to jump on the band wagon of any trend. If I like a trend I'll wear it, and incorporate it into my wardrobe some how. I am not about wearing anything just because its all the rage in fashion, hello did you see me wear a crop top ever! Nope and you never will! So here is my Fall Trend look, its nothing too exciting and probably something you have seen before. 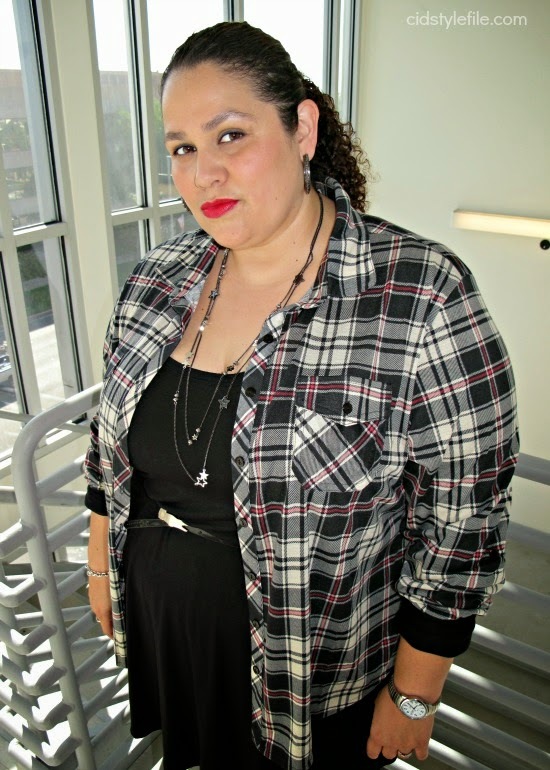 I have always loved plaid and am totally embracing all the plaid styles currently available. Plaid is such a classic print and will be around forever, I am sure one day my kids will be wearing it too. 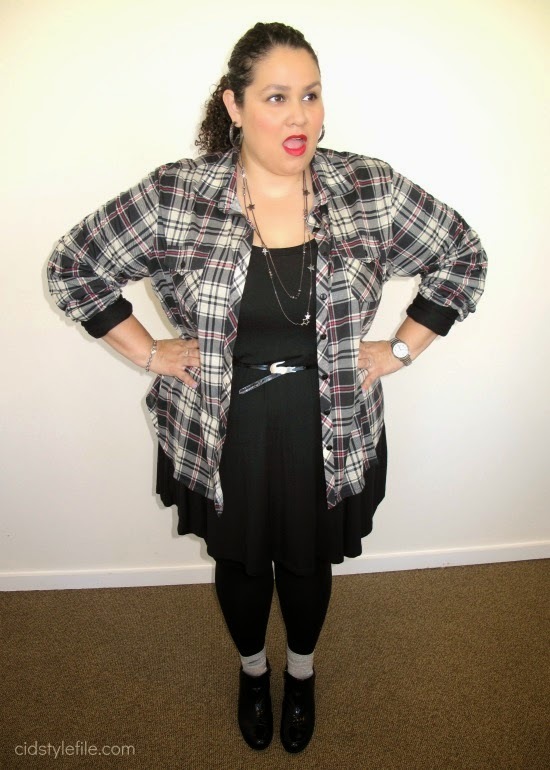 A plaid shirt is very versatile, every one should have a good plaid shirt in their closet. I currently have 2 plaid shirts and probably adding more. OK maybe just one more, promise not to go over board with this trend. Added an A-Line dress, which has a 60's silhouette and my black mod inspired boots. Actually now that I look a this outfit, feels like a school girl outfit. Which I love this look as well, guess my style is young at heart! Some black tights and few fun accessories finish off my outfit. Maybe this look isn't exactly what is on trend for Fall, but its definitely what I will be wearing this fall. I especially love my fancy silver sheer socks. So this fall find a trend that you like and make it work for you and your style. If not, just keep rocking your own style and say F-U to the trends! After all "Our hearts will not be tamed and our style shall not be shamed" is the motto the ladies of #untamedstyle live by. 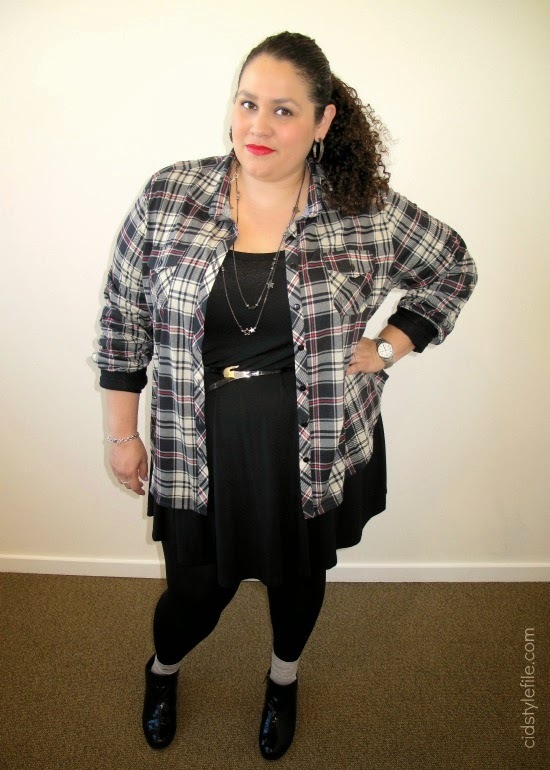 We are making our own fashion rules, and not apologizing for it! 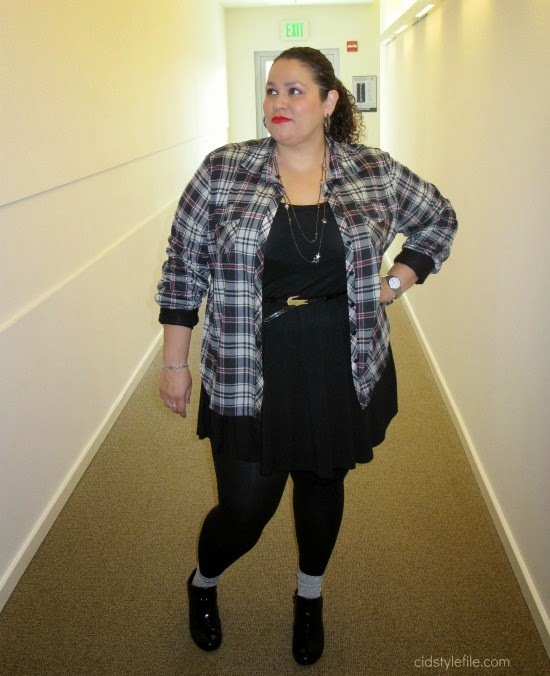 Now go and take a look at the other fabulous ladies who took on the #UntamedStyle Fall Challenge. Hope you are enjoying these #UntamedStyle challenge post. Go read all the other blogs and show them some love too! Are you a fashion blogger who is 35+ and want to join the #untamedstyle monthly challenge? Email me or tweet me for details! I really miss going back to school shopping and picking that perfect outfit for you first day back!! Love the grunge look and I here you with the Fall weather, we don't really get it until late Sept early October and even then it can be mild. I like the challenge! It's always fun to put yourself out there and wear trends you may not normally wear. I need to challenge myself a bit more lately. I can't wait for fall, once I can take my boots out of my closet I am a happy girl! City Chic Australian Retailer Comes to the US!